Celebrating just over twenty years as a rapper (and a little shorter as an actor) is multi-platinum shifting Nas, who became one of the long line of '90s hip-hop acts to cross the genre over to the mainstream. Hailed by MTV as one of rap's greatest MC's, his debut album 'Illmatic' had already set the tone with a stream of high-profile musicians and producers (DJ Premier and Pete Rock for starters) and clutch of streetwise party-slammers such as 'It Ain't Hard to Tell' and 'The World is Yours'.  After guesting on numerous other hip hop artists' albums in the mid-'90s (Mobb Deep, Raekwon etc), Nas hit his peak with two crossover sets, 'It Was Written' and 'I Am...', both #1 albums in the States. After a lull, his beacon has shone brightly again with three #1 albums on the bounce, including this year's huge 'Life is Good', which has also been a UK success into the bargain and probably the catalyst for the announcement of three exclusive live shows for Nasir Jones. In October, Nas will perform three relatively intimate London shows across the capital, starting with Under the Bridge at Chelsea's ground in Fulham on the 1st, followed by the Village Underground in Shoreditch on the 2nd and finally, on the 3rd, XOYO just down the road from Old Street tube. We have tickets for all three shows now, priced at £32.50 with all expected to sell out pretty quickly (these are not arena shows! ).